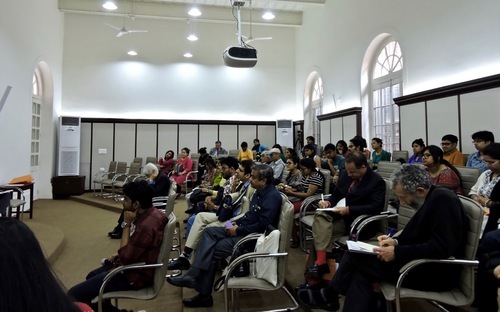 At a conference at Presidency University in Kolkata, India, devoted to the subject of genocide, many audience members were introduced to the ongoing atrocities occurring in their neighboring country to the north. 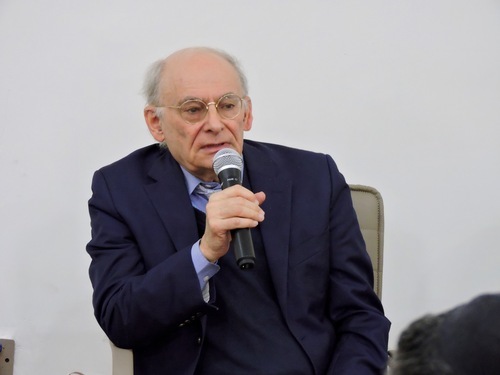 Canadian human rights lawyer David Matas gave a presentation on the persecution of Falun Gong practitioners in China at the conference “Prevention of Mass Violence and Promotion of Tolerance: Lessons from History,” Minghui.org reports. The persecution pertains not only to the jailing and killing of those targeted by the Chinese regime, but also the harvesting of their organs. Matas has investigated human rights abuses in mainland China for over a decade, and in 2006 authored a landmark report on organ harvesting with former Canadian Secretary of State for Asia-Pacific David Kilgour. The two-day conference, which took place on Feb. 27-28, 2017, was a part of the celebration of the 200th anniversary of the founding of Presidency College and the introduction of the first post-graduate Holocaust Studies course in South Asia, started by Dr. Navras Aafreedi of the school’s history department. Aafreedi was inspired to create the course after participating in the Salzburg Global Holocaust Education and Genocide Prevention (HEGP) Program. The creator of HEGP, Edward Mortimer, as well as the program director of the Salzburg Global Seminar Charles Ehrlich, participated in the conference. Speakers hailed from a number of countries—the U.K., the United States, Canada, Australia, Austria, Israel, India, and Bangladesh. Many members of the audience learned about the human rights abuses in China for the first time from Matas’s presentation. Also discussed during the conference was the history of mass violence native to South Asia. “South Asia owes an effort to learn the lessons of its mass killings not just for itself, but also for the world. A focus on its own past tragedies could, one would hope, help to prevent future such tragedies in the region,” Matas said. “We look to South Asia to learn the lessons from its history of mass violence to teach us all, to help us everywhere to prevent mass violence, and promote tolerance worldwide,” he said.